Remote Power Manager is a power management solution for networks. The program allow network administrators to centrally manage network PCs and make remote run, shutdown, Wake-on-LAN, lock, log off, sleep, hibernate, reboot, power off, lock and unlock input devices, registry merge, file copy and other operations for Windows and Linux PCs. Using Remote Computer Manager you can perform a remote turn on, shut down, power off and cold restart (reset) the remote computer with Intel AMT (Active Management Technology) and AMD DASH (Desktop and Mobile Architecture for System Hardware). The program can also get the list of processes, netstat, screenshot and other details for each PC. 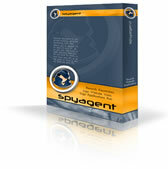 PrivacyAgent is a powerful PC activity history and file deletion utility that can be used to clear all your private activity histories - including emails(sent/received/saved), website visits, documents viewed and more! This site does not contain serial number, crack, keygen Remote Power Manager serial number : serial number is the simplest type of crack. A serial number(cdkey,product key,etc) is register the program as you may already know. a crack or keygen may contain harmful software. If you cannot find the exact version you want, just give it a try. for more information read .nfo/.txt/.diz file include in zipped file.